Seeing the acronym "OTP" pop up in certain places online? Probably Tumblr? Here's the low-down on this quirky online acronym. It's a term that's used often on Tumblr a lot by users who want to describe two individuals, particularly in a fandom or work of fiction, who they think would make a great couple. Or, in other words, "one true pairing." As you might have guessed, this particular acronym isn't quite as popular as some of the others out there (like AF, TFW, SMH, and others) and it's often used by teens or young adults. Although you might see it anywhere online, just like any online acronym, you're most likely to stumble across it on Tumblr. Example: "Edward Cullen and Hermione Granger are my OTP!" Some users like to tell the community who they think their own OTP might be as if they're describing a crush they have on a fictional character or a celebrity. Other times, they'll point out a well known fictional character or a celebrity and pair them up with another character or celeb as their OTP. For whatever reason, fans love doing this. They'll often pair up two characters from completely different TV shows, movies, comics, books, or something else. If they think that their style and personalities match up, they pair them up and sometimes use them as inspiration for writing fan fiction about them. 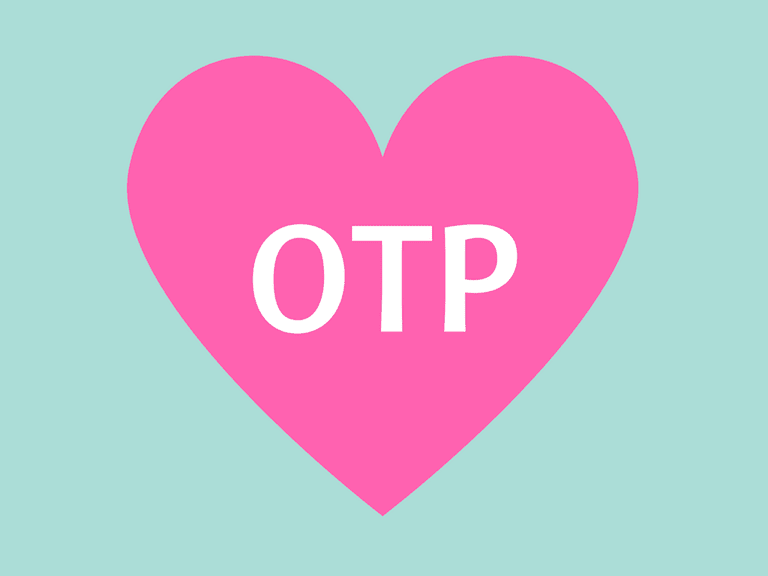 OTP is definitely one of the less important online acronyms worth knowing about. Unless you're a Tumblr power user who has every intention of diving right into one or multiple fandoms on the platform, this shouldn't be an acronym you really need to add to your mental online lingo dictionary. But since you're here, you might as well keep reading about a related Tumblr term that often goes hand in hand with OTP. When it comes to the fandoms of Tumblr, users will also use the term "ship" or "shipping" as a verb to describe a relationship between two characters that they endorse. It's basically a more active way to express an OTP. Example: "I ship Bob and Sandra!" or "I started shipping Bob and Sandra last week after watching the latest episodes of [TV show name]." Again, this is a term you'll really only see on Tumblr and possibly within fandom communities (like on blogs, message boards, etc.) and it's not something that pops up online all that often. If you dug pretty deep around Tumblr for a while, you'd probably discover all sorts of other obscure acronyms and slang terms that haven't really made it anywhere else online. So, will OTP and "ship" ever get big and become more mainstream? You never know, but considering that they've been around for a while already, probably not. Feel free to use either one of these terms anywhere online, but be prepared to explain what you mean when friends and followers ask what you're talking about. What Does BBIAB Stand For? Wondering What OOAK Means in a For Sale Post?